Page 71 has been posted, featuring Peridot attempting to get a fresh start with the princess. Too bad he makes the instant mistake of kissing her again. 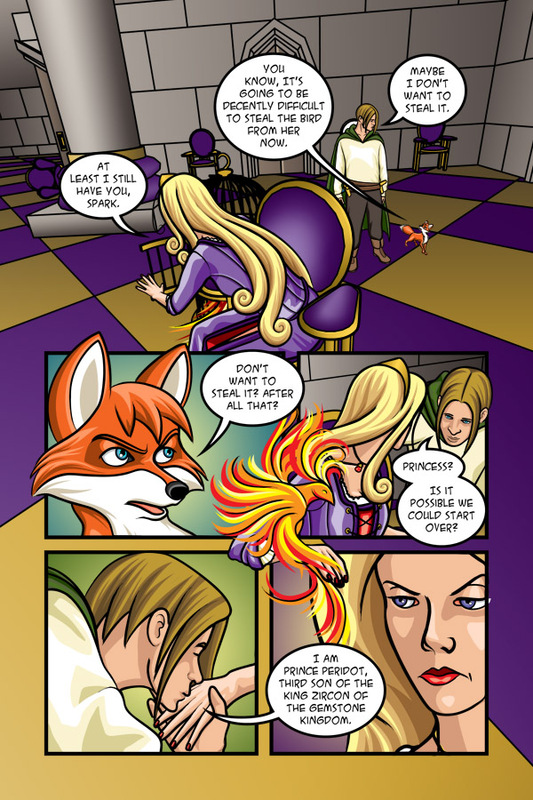 If you liked the page, please support the comic by voting for The Fox and The Firebird on topwebcomics.com.